Aultman College is a transfer-friendly institution -- the majority of our students come in with some form of credit previously earned at another college or university. A transfer student is formally defined as someone who has completed at least one hour of college credit after graduating high school. Transfer students should check the GPA and residency requirements (i.e. the number of course hours that must be taken at Aultman College to be eligible for graduation) for their desired major at Aultman College. You can access this information for each program via our majors and degrees page. Submit official transcripts. These need to be sealed in an envelope, written in English, stamped with the official school seal, signed by the appropriate school official, and be printed on security sensitive paper. We also accept electronic transcripts sent directly from the official third-party vendor/issuing source, i.e. Parchment and Clearing House, etc. Prior Learning Assessment (PLA) credit is awarded to recognize a current student’s college level learning obtained prior to Aultman College admission. 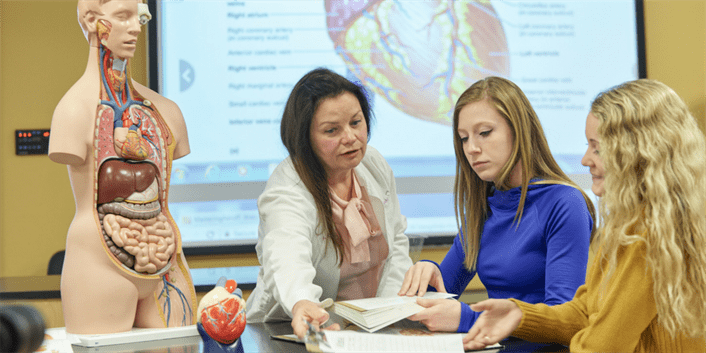 Incoming students may receive up to 65 credit hours for an unencumbered health care license (ex: radiography, paramedic, certified medical assistant, etc.) through PLA. Credit applied for PLA replaces individual course requirements or general electives. To start the simple and easy process for PLA, please submit your unencumbered license with your application to the college. Once you are accepted to the college, you'll be notified of the amount and type of credit awarded. After a student is accepted and submits all official transcripts, we conduct a transfer credit analysis wherein we assess official transcripts to determine credit equivalencies. Then, students have the choice to either accept or appeal their transfer credit awards. To get a general idea of which courses from area schools may be accepted for transfer credit, view the Transfer Credit Equivalencies Guide. For full information on the transfer credit process and how to appeal a decision on credit, plus visit our page on Transferring Credit. For any questions regarding transfer credit, please contact Aultman College.